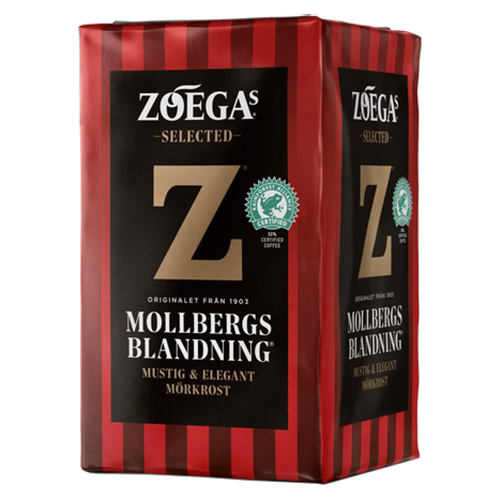 Zoégas Mollbergs Blandning ground coffee is Zoégas very finest blend. unusually high percentage of Arabica beans from Kenya's highlands. blackcurrant with hints of vanilla. The taste is full-bodied with a long delicious aftertaste. The high percentage of Arabica beans allows a darker roast. The coffee is extra strong with good acidity.